So it’s that time again when school’s out and kids will be at home. Meaning, you need to entertain and keep them busy throughout the summer season. And if you’re still looking for some fun and exciting summer activity, then look no more. 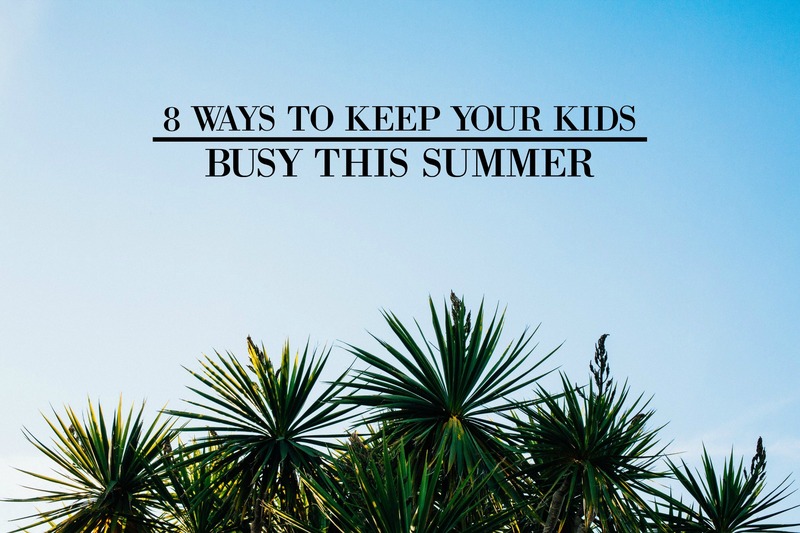 Down below, I’ve gathered some awesome ways to keep your kids busy and happy this summer. This a list of activities that are inexpensive, easy to do, and will make so many fun memories. So check them out and let me know what you think! This kids crafty activity is super simple and easy to make. All you have to prepare are paper plates halves, watercolor for decoration, glue, and popsicle sticks. Let your kids make different spring or summer designs and just help them out gluing the handle after. Building your own fun splash pad will definitely keep your kids busy this summer. You’ll need a large and clean tarp and a sprinkler. The water from the sprinkler will keep the tarp wet for a full day of fun splashing. If you’re throwing a summer party in your backyard, instead of getting the traditional piñata, try making some water balloon as an alternative. They’ll be perfect for cooling down and you’re kids will love it. With the help of a projector, laptop, and sound system, you can easily host a backyard movie night perfect for your kid’s favorite Disney movie. Don’t forget the popcorns and blanket to wrap up in, they’ll make summer late nights outside better. This backyard tic tac toe game is perfect and fun to play with kids or kids at heart. You’ll just need a shower curtain from the dollar store, colored tape to make a grid, 6 frisbees with 2 group colors, and start playing. Gather up your washi tape and make this simple and cool indoor hopscotch game that will keep your kids busy. Just make a large square with your tape and then divide it into 9 or more small squares, marking random numbers in each one. This is such a great way to get the kids moving when the weather’s too nasty for them to be outside! By simply creating a craft station specifically for painting or drawing, you can easily keep your kids busy throughout the summer! Get those art materials from your local store, put on your kid’s table, and let them unleash their creativity. Since summer and swimming sounds like the perfect pair, then why not add some learning while enjoying. All you have to do is cut ordinary sponges in half, write letters on each sponge, and start playing scrabble. Just be mindful to keep an eye on your kids while the game is on to keep them safe.